Show, don’t tell. Make a greater impact on your customers through interactive video production. Provide deeper insight on your products/services. Why Use Online Video Production? More and more, videos are becoming the primary way of communicating online. 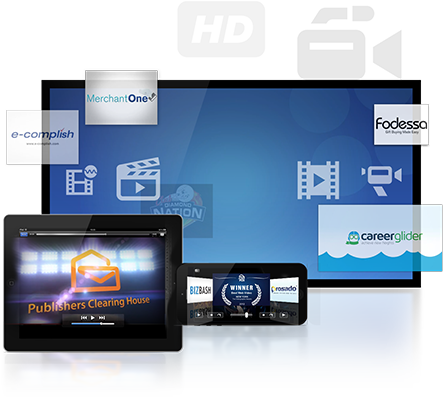 A video is a terrific way to showcase your products, services and key members of your company. The use of video on your site and as a marketing tool on other sites (including the hugely popular YouTube) is a great way to publicize your company and to enhance your company’s presence on search engines. In fact, video click-through rates are far higher than image display ads, and websites that provide videos on their site tend to have a higher rate of repeat visitors. Peak Online marketing provides the means to get any video format on your website. We optimize videos for streaming capabilities and quicker download times. Social share features that could help content go viral may be implemented so viewers can share videos and create more attention for the brand and client website. Online videos have become a worthwhile investment lately as production costs have decreased drastically. Product and service videos explain what a company does for new customers or visitors, and helps to communicate what makes the client’s company or offerings stand out from the crowd. Videos are powerful tools to gain additional traffic to a website, and generate awareness, as they can be viewed on a client’s website and channels such as YouTube and Vimeo. Our videos create stunning first impressions that can help increase conversions.